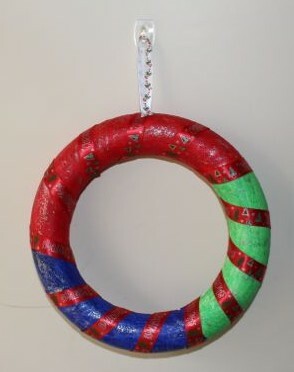 Our first project using items from the Riot Art & Craft Christmas Showbag was a wreath. 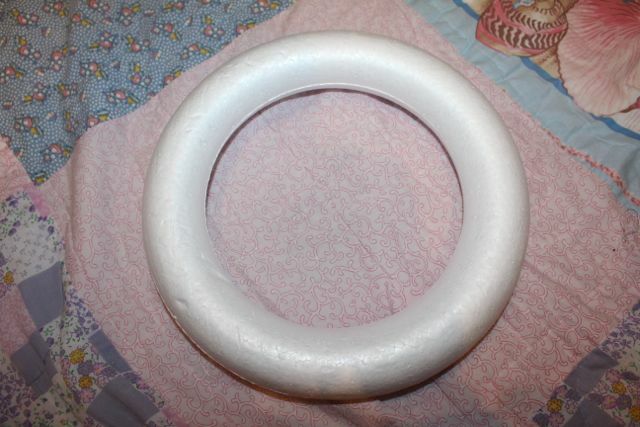 The 3D foam wreath shape. 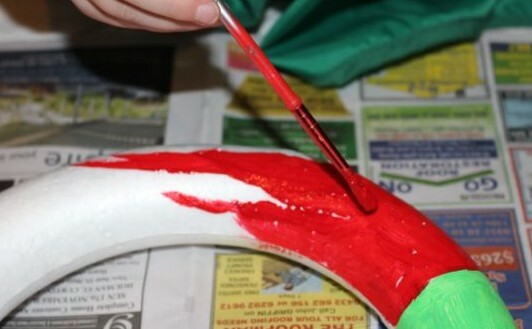 A painted her foam wreath using red, green and blue paint. She wanted to have coloured sections, so while she painted the majority of the wreath, I helped her by painting smooth edges for each section. Once the wreath was dry, A turned it over and painted the other side to match. the paint dried quite quickly, and we were soon able to come back and decorate it. 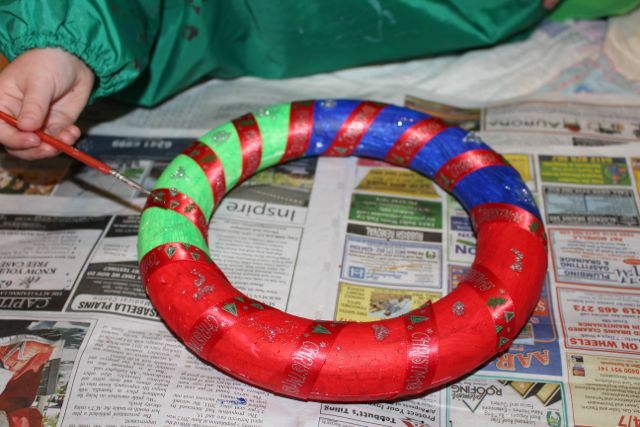 First we wrapped one of the Christmas ribbons around and around the wreath, and secured it with a couple of metal pins. I put the pins in because they were sharp, and a bit fiddly for A to get in straight. The gaps between where the ribbon lay seemed a little boring to A, so she decided to use silver glitter glue to enhance it. She put great globs of glitter glue of each part of the wreath that wasn’t covered in ribbon, and then she used a paint brush to spread it out. We finished it off by adding a piece of ribbon to the top of it so that it could be hung up. A very proudly hung it on the front door. Hanging on the front door.